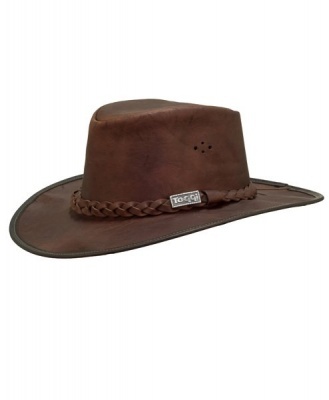 The Toggi Bushman Kangaroo Bush Hat is a great accessory with masses of true Aussie country appeal. A substantial hat crafted from sturdy leather with a decorative braid around the crown and Toggi ingot branding. This hat is the perfect finishing touch to complement your favourite wax jacket. Suitable for men or women.